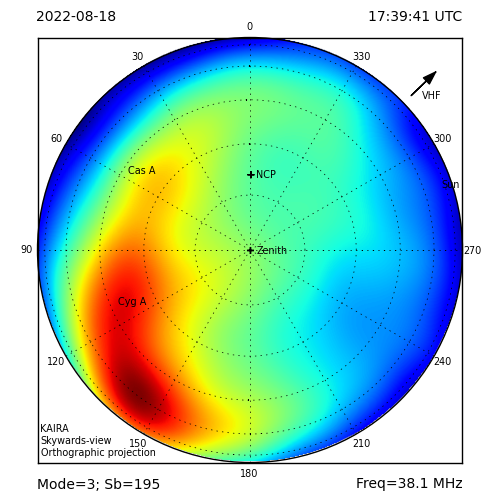 Phased receiver arrays like KAIRA and LOFAR work by exploiting the physical effects of constructive and destructive interference. Before we consider how they do this, we need to go back a step and consider how radio observations are made. 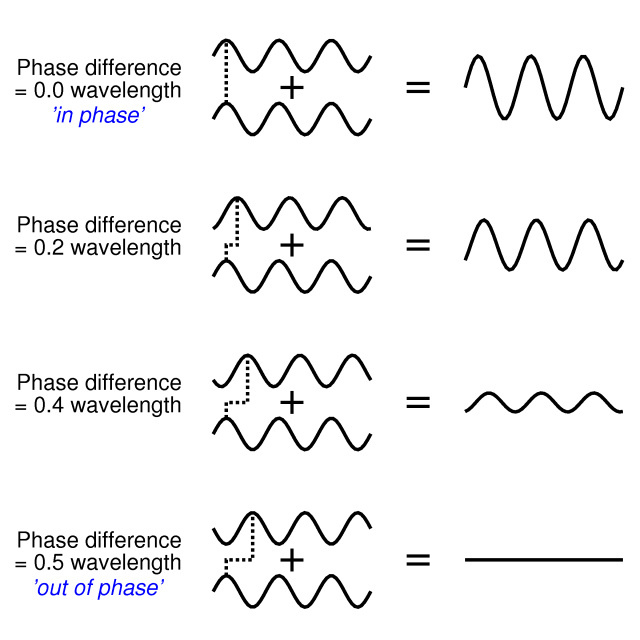 So to start, let’s think about a radio signal, which is represented as a wave. If you have two of these signals at the same frequency (or wavelength), you can add them together. If they are lined up, then they will add together and get stronger. However, if they are not quite lined up, then they don’t always add with each other, so the result is weaker. In fact, there is an alignment where they are doing the exact opposite of each other and thus cancel each other out. This alignment of two waves (or a single wave to a reference point) is called its phase. When waves line up they are said to be “in phase” and when they are exactly mis-aligned they are said to be “out of phase”. So let’s now think about how this principle applies to a signal coming from a distant astronomical source. 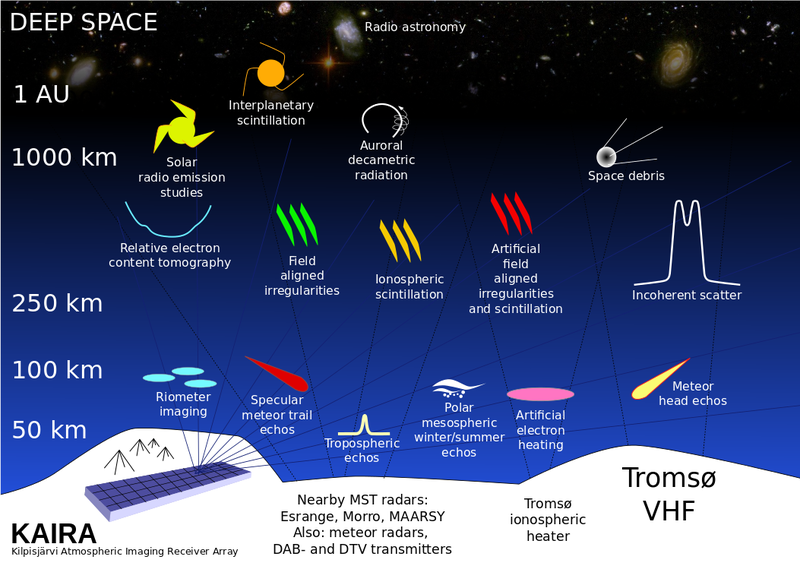 Two of the challenges of astronomy are that the incoming signals from space are very weak and that in order to “see” the object under study, the observation needs to be able to make out fine detail. In other words, the telescope needs to have high sensitivity and high resolution. Because astronomical objects are so far away, the transmitted radio waves from a star or galaxy are effectively planar when they reach us — that is, the incoming wavefront is flat and – to all intents and purposes – the signal appears to be coming from the same absolute direction no matter where you are. As the illustration shows, the further away from the source you get, the flatter the wavefront seems. And that's over a very small distance on a computer screen. Imagine if it was coming from a radio-source deep in space. 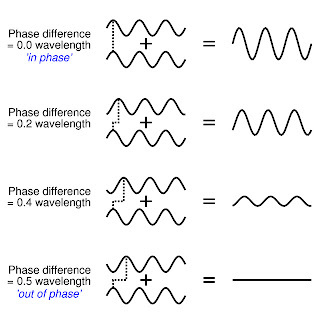 And in the next instalment, we’ll look at how we can use the in-phase and out-of-phase properties of the radio signals. Is there aurora above Kilpisjärvi? KAIRA web log goes daily!